In Homi Adajania's new film Cocktail that's set to hit the marquee this Friday, Deepika Padukone plays Veronica D'Costa, a free-spirited 24-year-old, who lives in London with her introvert friend Meera. As fiesty Veronica who belives in living in the moment, Deepika is at her hottest avatar as she flits in and out of frame in hip clothes and accessories. We wonder if she fits the stereotype Christian women that Hindi movies love to show. We look back at the prettiest Christian girls in the movies through the years. Kareena Kapoor plays the vivacious Riana Braganza in Shakun Batra's hit romantic comedy Ek Main Aur Ekk Tu. When she's not busy looking breathtaking in cheery colours, Riana dispenses important life lessons to the uptight Rahul Kapoor (Imran Khan). Katrina Kaif's adorable Jenny catches the eye of town simpleton Prem (Ranbir Kapoor), who has little else to do in life other than hatching plans to profess his love for her. Bipasha Basu plays Goan hottie Zooey in Rohan Sippy's Dum Maaro Dum. Dressed in cropped shorts and pretty skirts, Zooey is a welcome addition to the film's rather grim plot. Priyanka Chopra's beautiful and enigmatic Susanna Anna-Marie Johannes dominates every frame she's in in Vishal Bhardwaj's screen adaptation of Ruskin Bond's book Susanna's Seven Husbands. Her quirks and misfortunate love life make her an unforgettable character. 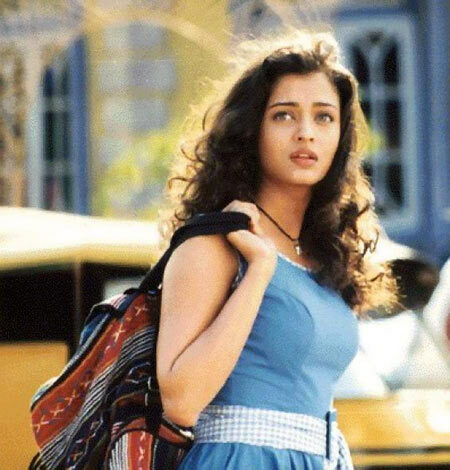 Aishwarya Rai played the chirpy Shirley in Mansoor Khan's 2000 action film Josh and falls in love with her twin brother Max's nemesis (played by Chandrachur Singh). Actress and former beauty queen Neha Dhupia played Julie, a naive Goan Christian who comes to Mumbai after a rather painful break-up but finds herself sucked into the murky world of prostitution. The beautiful Parveen Babi plays Jenny, Anthony's girlfriend in the 1977 blockbuster Amar Akbar Anthony. She's statuesque, pretty and fashion forward. Dimple Kapadia captured the imagination of the entire country with her polka-dotted tops and short skirts in her debut film Bobby. The film also marked the pairing of one of the most good looking couples in Bollywood -- Dimple and Rishi Kapoor. 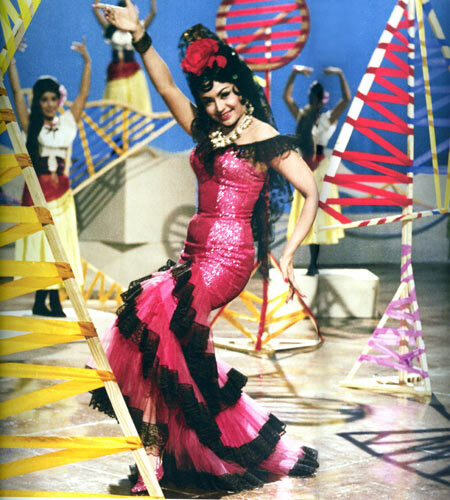 Bollywood's legendary show girl Helen plays Ruby in Shammi Kapoor and Asha Parekh-starrer Teesri Manzil. A dancer in a club, Ruby performs with star singer Rocky (Shammi Kapoor), her object of affection. Deepika Padukone's HOTTEST Avatars? VOTE!